If you’re thinking of having dermal fillers and live in Leeds or the surrounding area, Save Face can help you find a safe, qualified practitioner with proven experience of excellent results. 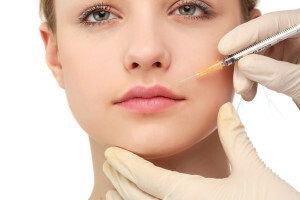 Currently in the UK, non-surgical cosmetic procedures such as dermal fillers are almost completely unregulated. As a result of this, anyone can administer these types of treatments to the general public, regardless of whether or not they hold the necessary qualifications or have any relevant experience. What’s more, the lack of regulation means that should anything go wrong, those undergoing the treatment have the same amount of protection as if they had bought a toothbrush or a ball point pen. This is concerning state of affairs, as in the wrong hands, these procedures can have serious adverse effects on appearance, health and wellbeing. As non-surgical cosmetic procedures have become more popular in the UK, the number of people administering these procedures has also risen. Unfortunately, as a result of the lack of regulation, a large percentage of these individuals are far from qualified. These untrained, unqualified, and quite frankly, unethical individuals advertise themselves on the internet and in salons and spas across the country, offering cut-price treatments, time-sensitive deals and buy-one-get-one-free offers to consumers unaware of the associated risks. This has resulted in thousands of individuals being left harmed and permanently scarred, and with very little legal right to compensation. Until recently, differentiating between these unsafe individuals and properly qualified medical professionals has been extremely difficult. Recognising this as a problem, Save Face developed an impartial accreditation scheme to help consumers make an informed decision when they select a non-surgical cosmetic practitioner. By using the Save Face search engine, anyone interested in treatments ranging from dermal fillers to botulinum toxin injections can connect with safe, qualified practitioners who have been vetted onsite against a strict set of objective standards to ensure their safety. Use the Save Face search engine today, and find a practitioner you can trust.